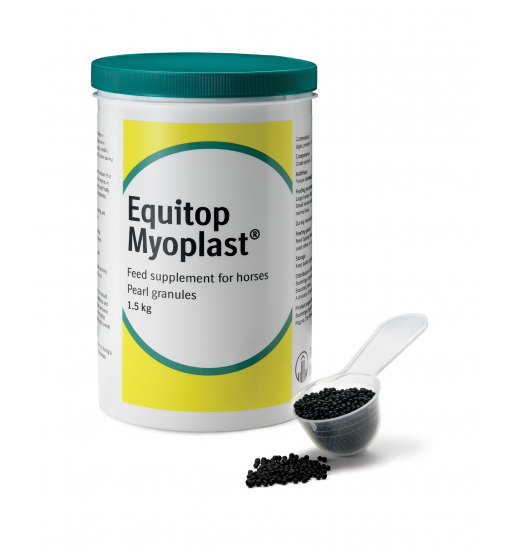 Equitop® Myoplast is a special feed supplement for horses containing a set of 18 amino acids originating from specially grown algae and selected for appropriate qualitative and quantitative composition. Substances in the preparation for optimal support of protein synthesis and muscle supporting the physiological function of the muscles in a period of increased exertion or during convalescence. Special production technology (Standards as in the production of medicines) for optimal assimilation of collected substances and their full use in the body of the horse. 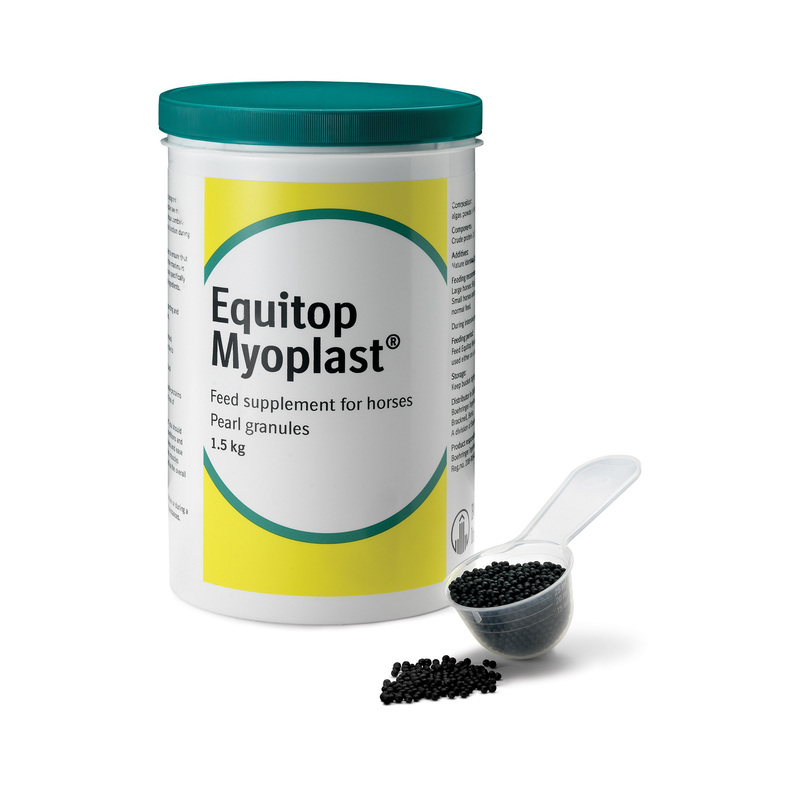 In the particularly intense exercise, the dose may be increased to 100 g / day (Ponies: 50 g / day). Serve directly from the feed.